Please do not use Google maps on your smartphone for directions, it will send you to the wrong place! 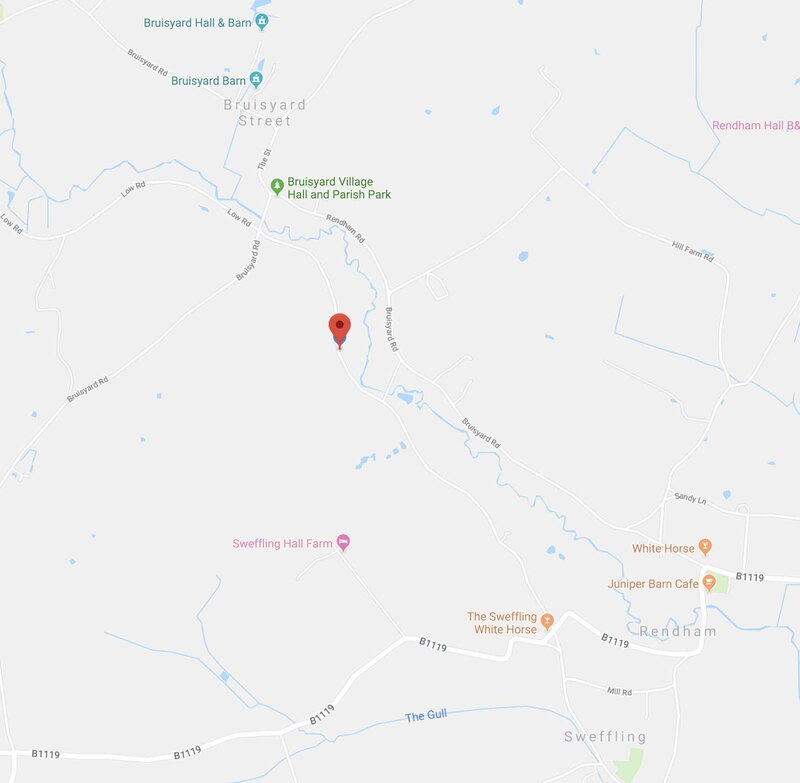 The post code is IP17 2BU and your Sat Nav may get you here, but probably it will take you to Pound Farm which is after the Sweffling White Horse pub on our road and about a mile before our house further down the same road. The following directions are from A12 and Ipswich. Going north from Ipswich and/or the A14 take the A12 towards Woodbridge. Carry on the A12 after the first signs to Saxmundham take a left turn on the B1119 to Rendham and Framlingham. Go through Rendham past the pub, (also called the White Horse, IGNORE THIS ONE) over the bridge and then in about a mile after a sharp left-hand bend you will come to the White Horse Sweffling on the right-hand corner of a crossroad. Turn right in front of the pub, that is our road. Go past Pound Farm and a new black set of gates, continue until you go past Hall Cottage with wooden gates, then about another quarter of a mile you will come to a long house with grey windows on the RHS and large pair of black closed gates. There is a large red driving safety mirror on a post opposite the gates. Drive past these gates and enter by the next set of gates which are grey and park on the hard standing.